We can help you get "para'd" down for the school year ahead from head to toe here at Greek Gear with shirts, hats and even boxers. But one popular category of merchandise that you should shop first is our selection of Bags, Briefcases and Totes for Kappa Delta Phi members. Are you a frequent traveler? 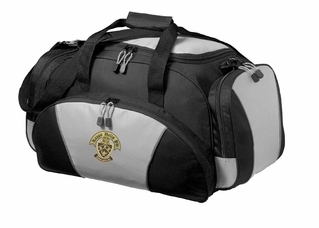 If so the Crest Greek Expandable Briefcase will fit right into your routine. It can store your laptop as well as a few pieces of clothing and books. It will likely classify as a personal item when you're flying (sized at 15.75" x 11.75" x 6" when expanded). 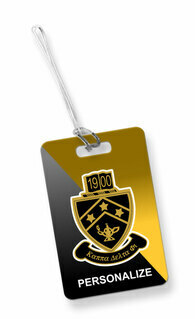 If you do have to check a bag, get the black and gold Luggage Tag so that you'll quickly identify your bag when it's coming around the conveyor belt. 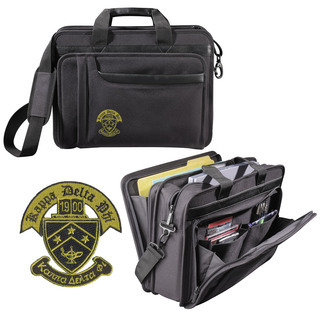 Working men or guys who have internships will like the design of the Crest Briefcase Attache. It's a handled bag that also has a strap that you can put on your shoulder. Pull the back section open and you'll find it's perfect for adding a few file folders. The inside pocket will fit a small laptop, and your passport and IDs will slide right into the front section. Hit the lecture hall or your internship in style with one of these high quality Kappa Delta Phi Bags, Briefcases or Totes in tow. Other items you might want to consider for school or work include fraternity portfolios, pens and business card holders (see the main menu). 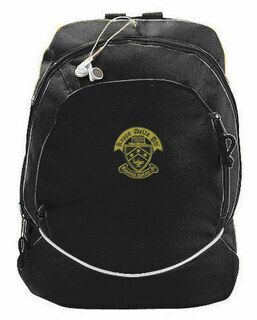 Kappa Delta Phi Bags, Briefcases & TotesThe Greatest Selection. Period.